When that first student loan payment hits your account, you’ll probably be feeling pretty flush. To help support your student lifestyle, you might be thinking about getting a part-time job while at uni. Whether you’re looking for extra money or just want to get some relevant experience under your belt, here’s some tips from other students about finding work. First up – why should you get a job at uni? 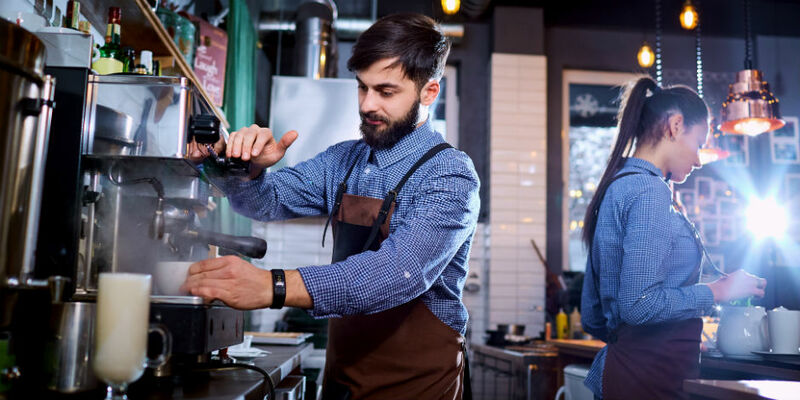 Most students find they could do with a little (or a massive) cash injection alongside their loan, so getting a part-time job is one of the best ways to ensure you’re not living off 15p noodles for the entire year. 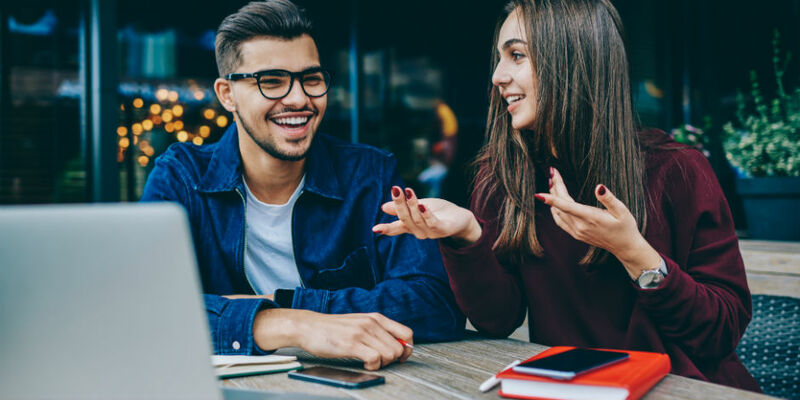 Not only will the extra money help you make the most of your time at uni, it might also help you avoid your student overdraft – something you’ll thank yourself for when the interest starts piling on post-uni! You’ll also gain loads of useful, transferable skills like time-management, independence, customer service and thinking on your feet, which will be handy for both your uni work and your post-uni jobs. Plus, you’ll probably end up meeting lots of other students or a whole new group of mates, which will help you settle into uni life even quicker. So what jobs are available for students? 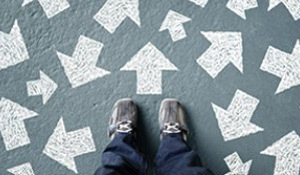 Fortunately, students have loads of choice when it comes to jobs – but you will have to put the legwork in early to snap up the most desirable. Student union jobs are popular as they’re super easy to fit around your studies, and the shifts are pretty flexible too. You can choose from positions like working in your SU bar, or even in the campus shop, but it’s best to ask around at the beginning of the academic year to avoid the rush! TSR member JKGB explains why it’s a popular job: “I worked in my SU – it was pretty good pay, and I got priority entry to events!” – what’s not to love? Then there’s your more creative options, like working for your student radio station or your uni’s magazine or SU website. These will likely require some relevant previous experience, so have a look online or speak to someone at your university to see how you can get involved. 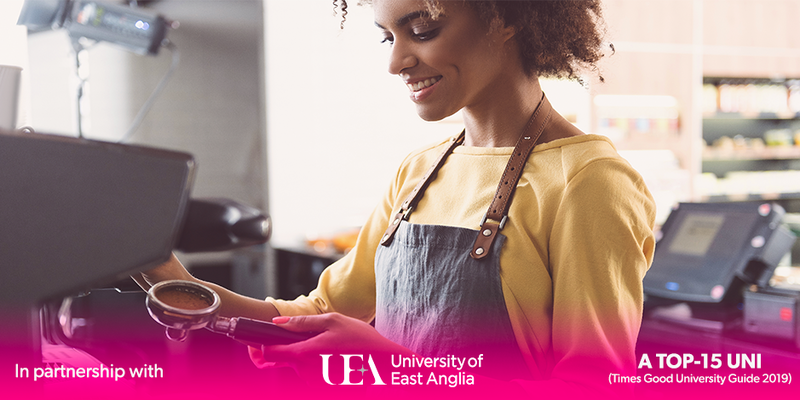 Looking outside of your uni, there are all the classic part-time jobs available like retail, bar work, restaurant work or other hospitality positions, like working in a cinema or theatre. You might find it slightly trickier to get shifts that fit around your lectures, but most managers are used to working with students in these roles – just make sure you share your availability with them upfront, or request weekend and evening shifts. Where do you find jobs, and how can you apply for them? For retail and hospitality work, you can look online to see what’s available, or do it the old-fashioned way and head in to town to hand out your CV. It’s worth paying a visit to your uni’s careers service first to get your CV in shape, then spending a couple of hours handing them out. Don’t forget to pop in to local cafes or independent shops, too – most people head for the big stores first, so you might have quicker success with these. Some larger stores, like Boots or M&S, may direct you to their online recruitment portals. If you’re planning to do a lot of applying online, spend some time answering the most commonly-asked recruitment questions in a Word doc, so you can reuse relevant snippets across your applications to save a bit of time. If you don’t already have a LinkedIn profile, set one up now - you can search for or apply for jobs directly from LinkedIn, and recruiters may even approach you with opportunities. Otherwise, check out your student union for vacancies, or head to a job search engine like Monster or Indeed. How do you balance studying with a part-time job? Let’s be realistic – it’s not always easy juggling your uni work alongside a job. But if you budget your time right, it’ll feel totally worth it when the extra cash hits your account. Most employers understand that you’ll need to work around your studying, so let them know you’d prefer weekend and evening shifts as a starting point. You can always pick up extra hours once you’ve settled in, or during the holidays if you stay at uni. It’s also a good idea to let your manager know when you’ve got exams coming up. You’ll probably need to spend a bit of extra time studying during these periods, so giving your work notice means they’re more likely to work around your availability. What are the alternatives to traditional student jobs? If you have a particular skill, freelancing is an alternative way to make some extra cash at uni. You can choose your own hours, and only take on extra work when you know you have time or need a bit of extra cash. The only thing to bear in mind is that you’ll need to register as self-employed with HMRC and complete your self-assessment tax return at the end of the year, but you can always ask your uni’s support services for help with this. Some common freelance opportunities include copywriting, graphic design, web development, photography and tutoring, but it’s pretty much up to you to suss out what people will pay you to do. TSR member snufkin knew someone at uni doing freelance web development and making thousands of pounds a month – pretty sweet, right? Another option is to become a student ambassador and help out with open days and campus tours – hannah_dru says: “It pays quite well and fits around your timetable easily”. Lots of students also pick up casual flyering work on campus, and clubs are always looking for promoters to help them get people in the door. You could also participate in online surveys or uni focus groups to earn a bit of extra money – it won’t make you a millionaire, but it can put a few extra coins in your pocket. If you don’t desperately need extra cash and instead want to focus on gaining skills, bolstering your CV or getting relevant work experience in your industry, you could consider a voluntary placement to give you a head-start in your career. Work placements are great if you have a good idea of what you want to do after uni, and internships can help you get a foot in the door if there are any companies you like the look of. Have a look online for vacancies, and don’t be afraid to send prospective applications to companies – most will be grateful for an extra pair of hands, and it’s also a good way of making new contacts in the industry. Want more advice on getting a job? Head over to the jobs forum to get answers to your questions or chat to other students about finding work at uni. Please choose where you want to post your question. Please choose your study level. Please enter what your question is about. Your message must have two characters or more. The Student Room is proud to work with UEA, a UK top-15 university (The Times/Sunday Times 2019 and Complete University Guide 2019), as the official partner of our student life section. Not only is UEA highly rated in the league tables, it has also received a TEF gold award for excellence in teaching, learning and outcomes. UEA’s students are here to help with any questions you have about going to university (not just going to UEA!). Give them a try at Ask-a-Student. Quiz: what uni is best for you? Moving out but staying close to home?